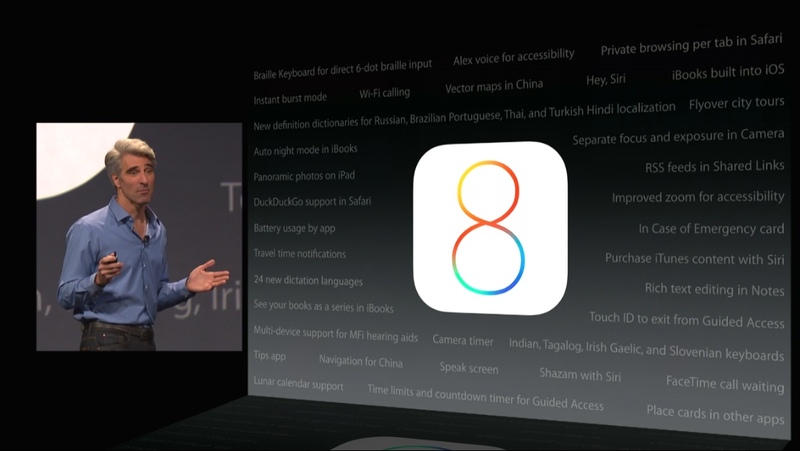 During today's Worldwide Developers Conference keynote, Tim Cook and other Apple executives gave us a fast-paced, broad-ranging look at some of the features we can expect with iOS 8, including improvements to Messages, keyboard enhancements in the form of QuickType and access to third-party keyboards, HealthKit, Extensibility, and more. iPads will gain the ability to take Panoramic photos like the iPhone, while the Camera will gain an instant burst mode, a timer mode, and separate controls for focus and exposure. iBooks will support an auto night mode and the ability to organize books by series, while notifications will include travel time. A mysterious Tips app, which was first depicted in an early screenshot of iOS 8, is also mentioned, though it is unclear what this app will do. It is possible Tips will provide iOS users with information on lesser known iOS features, serving as a tutorial app for those who want to learn the ins and outs of their devices. An "In Case of Emergency" card will be added to iOS 8, displaying contact information and possibly health-related information as well. Users will be able to use Siri to purchase iTunes content, Notes gains a new rich text editing feature, and RSS feeds are displayed within Shared Links in Safari. Other mentioned features offering unknown functions include Place cards in other apps and Speak Screen. Finally, there are also several accessibility improvements coming, including an Alex voice, Braille keyboard, improved zoom, and multi-device support for MFi hearing aids. Guided Access, which limits an iPad or iPhone to opening a single app, will gain time limits, a countdown timer, and Touch ID integration. These are of course, only a small selection of the hundreds of new features and minor functions that will likely be added to iOS 8 as it is in development. iOS 8 is available to developers immediately, while the public will get access to the new mobile operating system later this year. Another Android feature checked off... Will Apple come up with anything original any time soon?? Will Trolls say anything original any time soon? Braille keyboard? This I have to see. Why? You not happy with Android? 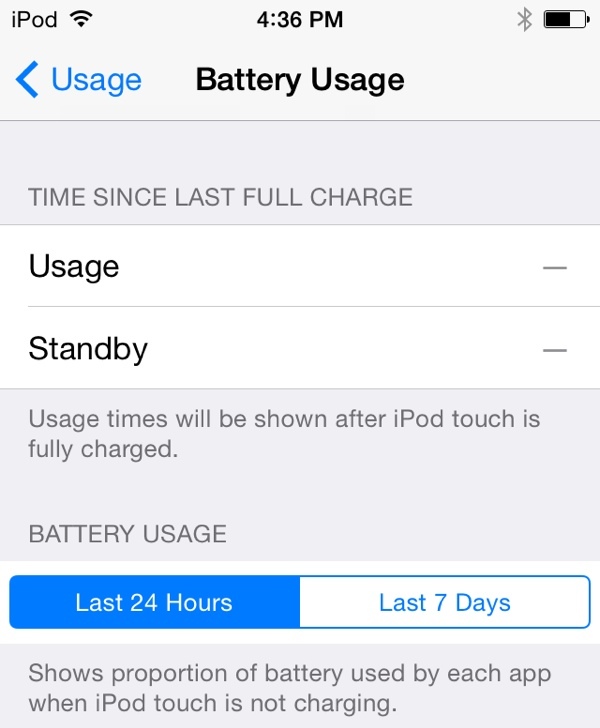 These new features in iOS 8 are awesome! I like the QuickReply feature for texting. Hopefully the next keynotes will feature hardware from here on out. Let me know when Android has as good security as iOS does. Add Wifi-calling to the list! Been waiting for this since January as T-mobile is spotty in my area, even with a booster. Can't wait for iOS 8. To be fair, a number of the features announced today have been in Android for years and have been missing from iOS for way too long. But as they say, better late than never. Swiftkey is on its way..... rejoice! Hopefully some of the Android hand writing input extensions too (there are some which are simply amazing). It's going to be a great update, 10x ("ex" really? the word is "times"!) better than the iOS 7 "flat" update, this is a real user experience improvement. Copied from Android along with third-party keyboards and "hey Siri". Oh come on. That's not trolling. After years of "Samesung" comments, the tables have turned, and the Apple fans don't like it. There's no question Apple are just incorporating features that have been available on other platforms for years. "Ok, Google" and "Hey, Siri". That's blatant copying, you can't argue with that. Seeing that Google Now itself is a copy of Siri I fail to see what point you're attempting to make. You do realize Google did their personal assistant after Apple came out with Siri right? That's what I call blatant copying if you want to go there. Like most things in Android.